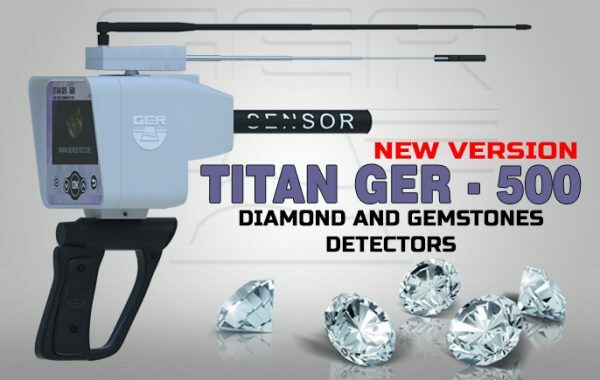 For researcher about diamonds and gemstones underground offer you a modern scientific and technical innovation to monitor places of diamonds and gemstones . Titan Ger 500 Plus is light weigh ,easy to use ,and fast discovery. 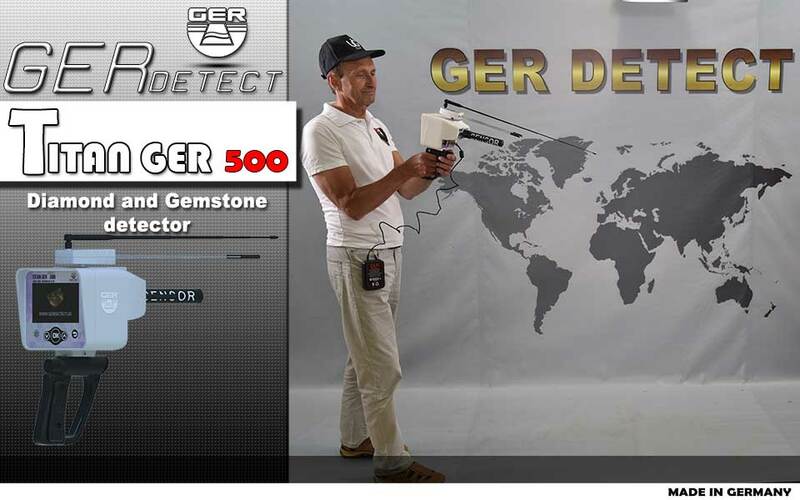 GER DETECT company put All high technology and global full digital system with sensors to capture a quick goal and sensors to be the first device discovery of diamonds and gemstones in the ground . Device depth of up to 65 meters in the ground and front range 3000 square meters. The device works on six different types of soil: (natural – clay – rocky – sandy – mixed, and mineral) for more accurate results. The front range of the device is 3000 square meters and a depth of 65 meters maximum. Small size and easy to use. 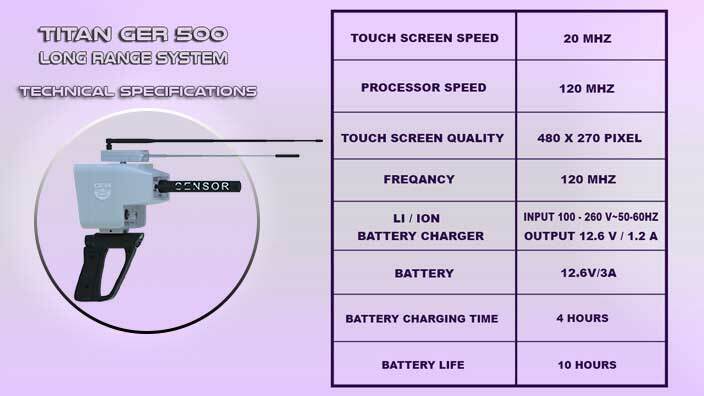 Device operates on touch screen which show you the search data. Device depth of up to 65 meters. Possibility of identifying the target depth under the Underground. Front range up to square 3,000 meters with The possibility of determine the Front Range required Starting from 500, 1000, 1500, 2000, 2500 or 3000 square meters. Determine the type of soil to be searched. The device works in six different languages: (German – English – French – Italian – Spanish, and Arabic). Full weight of the device with accessories only (6 kg). The device fit all circumstances and different terrain. The device does not affected by the types of soils and rocks.